Manzanillo is a city, seat of Manzanillo Municipality, in the Mexican state of Colima. Discover out-of-the-way places like Isla Navidad Golf Course and Careyitos Beach. Venture out of the city with trips to Barra de Navidad (Tenacatita Beach & Melaque). There's still lots to do: kick back and relax at Playa Miramar, stroll through Playa La Audiencia, explore the activities along Manzanillo Bay, and cast your line with a fishing tour. For ratings, traveler tips, maps, and other tourist information, read Manzanillo trip itinerary builder. 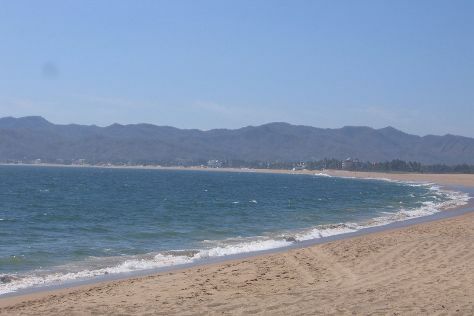 In February in Manzanillo, expect temperatures between 32°C during the day and 22°C at night. You'll set off for home on the 29th (Thu).